Welcome to Village at Leesburg! Embracing a traditional main street feel, this new regional lifestyle center is defined by tree-lined boulevards and an inviting central plaza. Carefully-designed streetscapes, architecturally detailed buildings and layered landscapes all work together to create scenic gathering places and timeless allure. 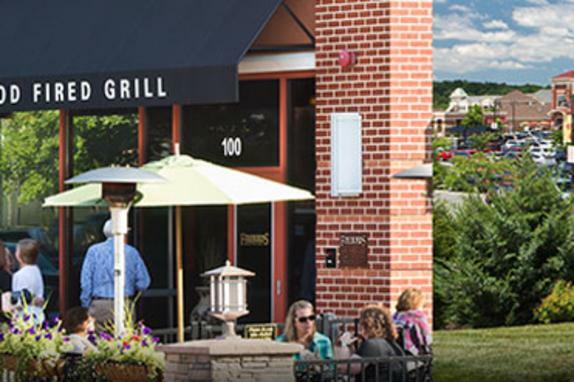 Village at Leesburg offers a total of 1.2 million square feet of development, encompasses 57 acres and combines traditional planning and design characteristics – including an open-air shopping center component – with an upscale urban feel. Ultra luxury, multifamily residences complement office and retail spaces. First-floor tenants include prominent, upscale retailers like Wegmans Food Markets and LA Fitness, as well as a multitude of restaurants, with offices and residential units located throughout the village. Together they create a place where businesses and residents come together in a traditional main street community with modern amenities and conveniences.